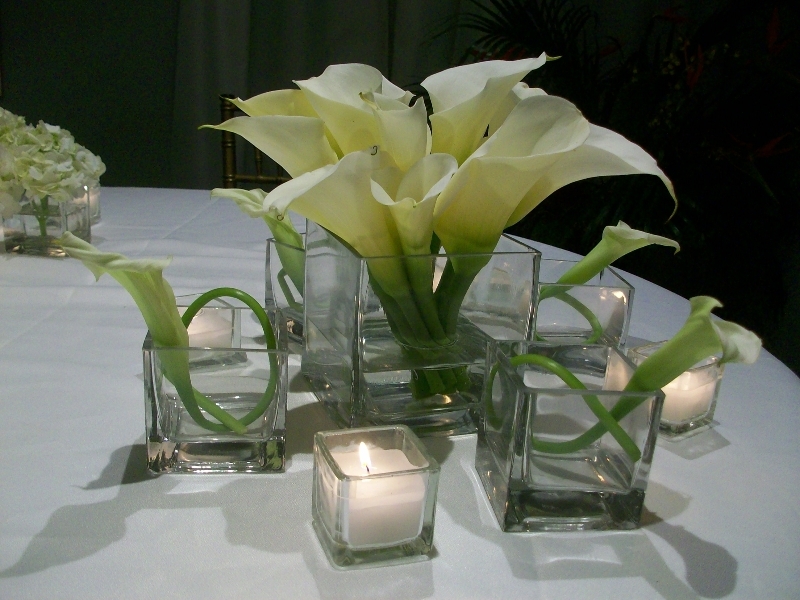 Centerpieces are something that should accentuate the beauty of the wedding. The colors of the flowers and vases should match the surroundings, whether it is the room, the color scheme of the wedding party, or anything else. It’s a chance for everyone at their respected table to truly FEEL part of the wedding. But sometimes this doesn’t happen. Centerpieces are too extravagant or unnoticeable. There are a few factors to take in when thinking about what centerpiece design and flowers one wants at their wedding. Centerpieces shouldn’t be about themselves, they should incorporate different color elements of the wedding. Does the bride’s dress or bridal party have color accents? Incorporate them in the centerpieces. What about the color of the room? It might be a good idea to have centerpieces match the room where the reception is to have one cohesive, and natural room. The bigger the room, the bigger the centerpieces can be. Key word: can. Just because the reception is in some incredible ball room with a 20-foot ceiling doesn’t mean the centerpiece height should be extravagant either. Make sure guests can see around the centerpiece to interact with others at the table. Sometimes, people guests are swerving their necks back and forth just to converse with at the same table. Sometimes people like to have a bunch of centerpiece creations on the table, which clutters the table. Guests want to be able eat and set their drinks down at the table, not worry about knocking over the bride’s precious centerpiece. In short, choose a matching color, at an reasonable height, that’s simple. More often than not, when you order flowers from a florist, they will arrive in perfect condition, smelling wonderfully and looking stunning. 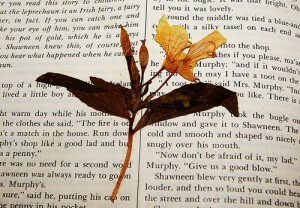 However, there’s also a chance you could receive flowers that appear wilted and dehydrated. If this happens to you, don’t panic! 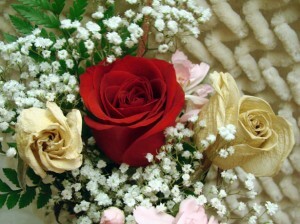 There are a few simple steps to take to revitalize the flowers so they’ll last the 72 hours typical of most flowers. First and foremost, contact your florist to make them aware of the situation. Your first step is to remove the flowers from any water. You’ll need to access the flowers stems. Cut about 1cm off each stem. If juice leaks as you cut, it’s a good sign. This means the flowers are not 100% dehydrated. Get rid of the remaining water and locate a clean vase. Fill the vase ¾ of the way with cold water. For medium to large vases, add three tablespoons of sugar to the water. Sugar is known for hydrating flowers and bringing back the color and vibrancy fresh flowers have. Place flowers back into the vase and using a dropper, squeeze a few drops of water mixture to the center of the head flower. If you see no change within three hours, you can repeat the process of fresh water and adding sugar. As always, contact your florist and see what they can do for you. The above process can buy you some time, especially if your flowers are needed right away. To many of us, the words “winter” and “flowers” just don’t mix. We equate winter with harsh cold temperatures that do not facilitate plant life well. 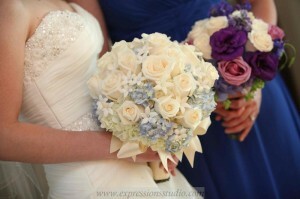 When it comes to wedding bouquets, the mind often wanders to lush and vivid springtime flowers, which are so desirable. Yes, it’s true; winter weddings are often overlooked, but the truth is, they can be truly magical! The flowers unique to the season give potential winter brides-to-be a wonderful selection of whimsical floral collaborations. Take a look at these stunning winter wedding flowers that will undoubtedly give you a new perspective on taking your vows in a winter wonderland. With a beautiful wedding bouquet like this, you’ll definitely want to save it forever! You’ve spent a lot of time and energy picking out the perfect bouquet to carry down the aisle. These flowers are the last thing you are able to clutch the final moments between being single and bound to the love of your life forever. They’re a symbol of the pure and beautiful love you share and their fragile beauty is something you’ll want to remember. Unfortunately, they’re just that – fragile. As we all know, it’s only a matter of time before all flowers wilt and die. Luckily, if you wish to preserve your flowers, you have some options! Let’s take a look at some popular ways to preserve your beautiful bridal bouquet! First, decide if you are going to do it yourself or if you’d like to leave it to the professionals. This is something you’re going to want to decide well before the wedding date. Next, how do you want your flowers to look? Different techniques of preservation provide different results. You can choose from dry, pressed or chemically preserved flowers. Drying flowers: There are several different ways of drying flowers, each achieving a different result. If you decide to hang your bouquet, only the leaves need to be removed. Then, separate the bouquet into smaller bunches as to avoid crushing their original shape. In a dry, dark place, suspend flowers upside down with something that will not ruin the stem (rubber band, twine, etc.). This can take up to two weeks depending on the humidity in the setting. There are various other floral drying techniques and materials you can use. Click here to read more on the process from a specialist! You can press your wedding flowers to use for crafts and framing! Pressing flowers: This technique does not preserve the actual shape of the flowers as they are, but flattens them, making them quite lovely for picture framing. Dry, unglazed paper such as newsprint or an old phonebook would work best for this project. Glycerine preservation: If you are doing it yourself, all you need is two parts lukewarm water and one part glycerine (regular car antifreeze will work fine). You will want to make sure you are beginning this process with the flowers at their best, most hydrated state. Place the stems of the flowers into the solution and wait! After about two to three weeks, the glycerine should have taken place of the water within the plants, keeping them beautiful and long-lasting. Leave it to the pros: If you’re going to hire a preservation company, TheKnot.com recommends making the arrangements about a month in advance, whether you’re staying local or going national. Just Google search the term “bouquet preservation” and you’ll be able to find a company to take care of the job for you!